A Sustaining Donation is an automated recurring monthly payment. By choosing to donate in this manner, you help RJCA reduce our overhead and allow us to have more consistent levels of donations throughout the year in order to better maintain our programs. 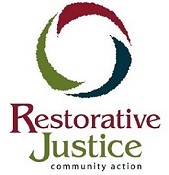 TERMS AND CONDITIONS: I authorize Restorative Justice Community Action, INC to charge the amount listed above to the credit card provided herein. I agree to pay for this donation and understand that it will be a sustaining donation that is processed monthly, starting on this day of the month, until I give 30-day notice to terminate it.